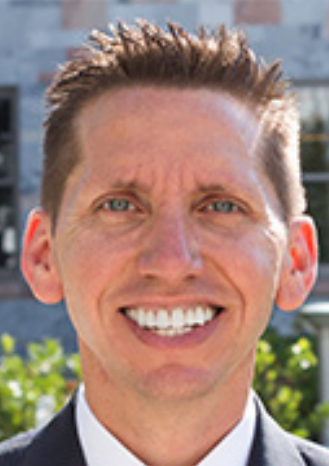 Andy Wilson, senior associate dean for Emory’s Division of Campus Life, announced his resignation on Wednesday. Wilson, who has been at the University for 13 years, has accepted the position of Dean of Acadamic and Student Services at Johns Hopkins University, effective April 6. The search for a replacement for Wilson is underway. In addition to being senior associate dean for Emory’s Division of Campus Life, Wilson serves as Interim Assistant Vice President of Community, a new position in Campus Life. Wilson said that he’ll be helping Senior Vice President and Dean of Campus Life Ajay Nair to strategize how to fill the gap. According to Wilson, his replacement should be announced sometime before he leaves. Johns Hopkins offers opportunities for Wilson that will allow him to explore his passion of social justice as well as utilize his student and academic affairs experience, he said. After Wilson transitions from Emory during spring break, he will start at Johns Hopkins in early April so that he can meet with some of his future colleagues before the end of the spring semester. Wilson said his new job will be a blend of his work at Emory between faculty and academic affairs and the intersection between the two. “I’m going to miss out on some of the milestones that some of our students will achieve in the near future, and that’s something that I wish I would be here for,” Wilson said. One of Wilson’s colleagues, Interim Senior Director in the Division of Campus Life Matt Garrett, wrote in an email to the Wheel that he is very happy for Wilson despite his sadness of his departure. “[Wilson] has provided very good guidance to staff and students as we work to build a stronger, more inclusive and more engaged Emory community,” Garrett wrote. Many of Wilson’s students expressed similar sentiments. Vice President of the Student Government Association and College junior Raj Tilwa wrote in an email to the Wheel that Wilson has been a mentor, an advisor and a friend to him. College senior Hal Zeitlin wrote in an email to the Wheel that he got to know Wilson through RHA and at 1836 Dinners. As Zeitlin spent more time with Wilson, “[he] began to see [Wilson] as a friend and a personal mentor,” he wrote.